"There is a clear confusion with what happened over the weekend, but it has been demonstrated, once again, the disconnection and detachment that exists between the Venezuelan people and those who are in power today … The only way to stop the violence, anarchy, and chaos that exists in Venezuela is to allow the people to choose a different government through free elections," Borges said Tuesday in a statement distributed by the Justice First. He added that the Venezuelan population was confused and did not believe the government’s version of who was responsible for the assassination attempt. 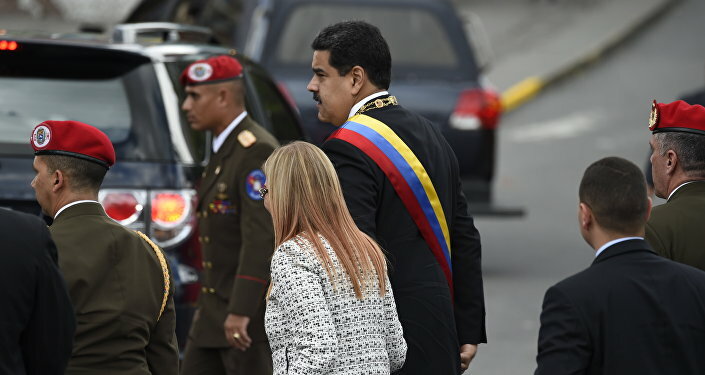 On Tuesday, Maduro accused Borges, who is a former president of the country’s National Assembly and co-founder of Venezuela’s main opposition party Justice First, of being linked to the recent drone attack that attempted to kill the Venezuelan president. On Saturday, a military parade in the Venezuelan capital of Caracas attended by Maduro was interrupted by what the authorities said was an attempt on the life of the president. Venezuela’s Information Minister Jorge Rodriguez has said several drones detonated close to where the president was giving a speech. The president was unharmed, but seven soldiers sustained injuries. Maduro blamed the attack on Venezuelan right-wing opposition, Colombia, and individuals living in the United States. Both Washington and Bogota have denied any involvement in the incident.